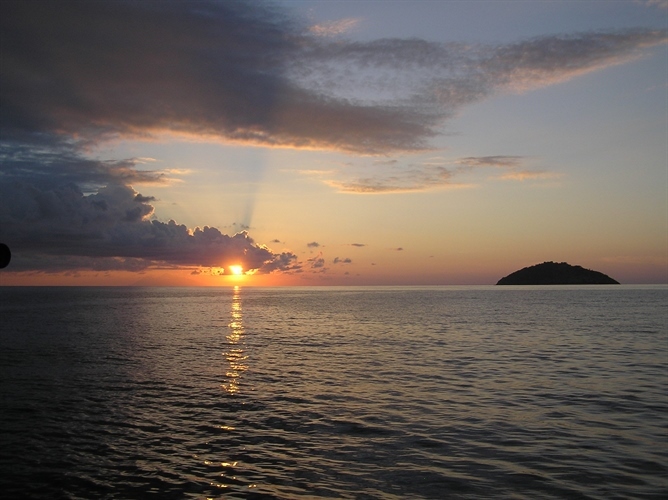 Dive and relax in the day, explore the culture and nightlife in the evening. 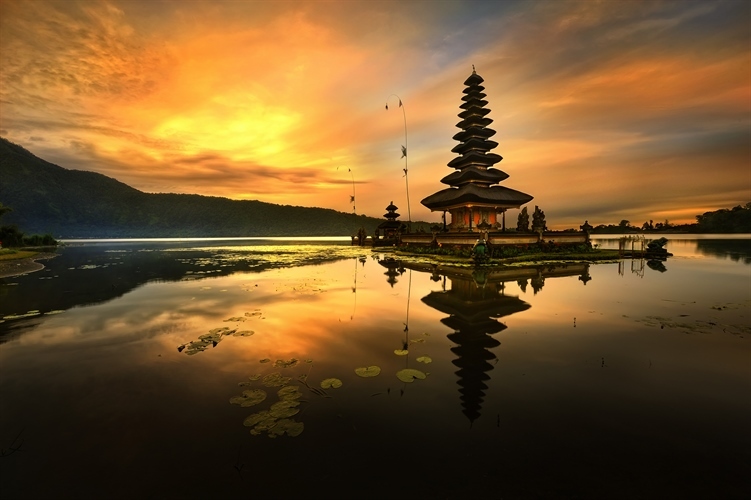 One of the most beautiful islands in the world, Bali is Indonesia's most popular dive holiday destination. Many divers find the attraction of good shore-based Bali resort diving set against a stunning back drop of huge, magnificent volcanoes and picturesque rice paddy terraces, simply irresistible. There are numerous things to do and see here but the general overall atmosphere is one of relaxation and well-being. 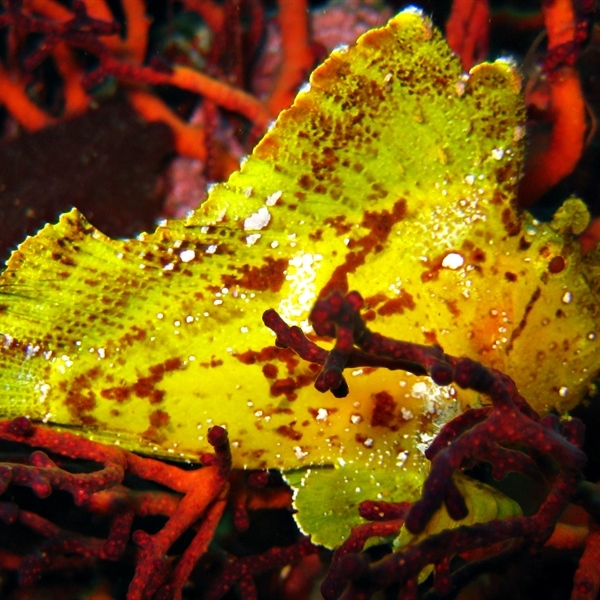 Indeed, the greatest features of diving in Bali are the incredibly rich and varied dive sites. Sheer drop-offs and steep banks, coral ridges and bommies, one of the most famous wrecks in the world - USS Liberty, volcanic outcrops and sea grass beds are all part of the underwater tapestry. With its colourful and diverse marine life, there's enough here to keep you coming back for more. Bali is one of the country's 33 provinces with the provincial capital situated at Denpasar towards the south of the island. The island is home to the vast majority of Indonesia's small Hindu minority. The island can only be described as beautiful, with a spectacular varied terrain, ranging from fiery volcanoes that soar through the clouds, including the "mother" of volcanoes, Gunung Agung that rises to over 3100m and fertile valleys that are filled with abundant of fruits and vegetables. To spectacular rice terraces, lush tropical forests, and the stunning beaches that are situated alongside warm clear clean turquoise tropical waters of the Indian Ocean. 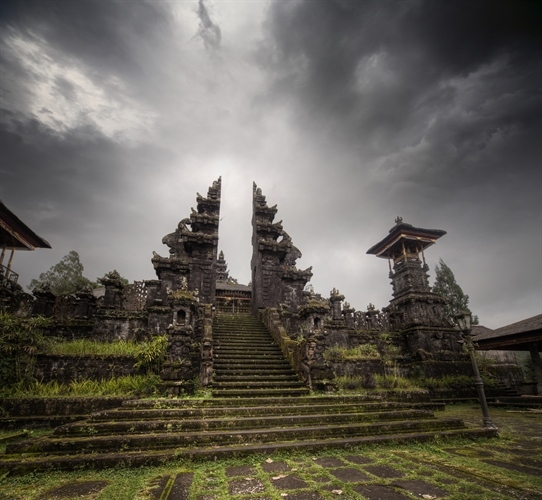 It is due to Bali's beauty that it is the largest tourist destination in the country and is renowned for its interior as well as its natural terrain. Ancient temples and spectacular palaces are dotted around the island, and offer wonderful views for visitors. Bali is also renowned for its highly developed arts including dance, sculpture, painting, leather, metalworking and music, also its fabulous elaborate festivals, as well as its unsurpassed architecture. Where temples, flanked by walled courtyards, outnumber houses and gardens peer out invitingly from homes and businesses. Bali’s capital Denpasar is popular among tourists and is home to the famous Monkey Forest and Elephant Cave, that all visitors will enjoy especially those that love nature and the great outdoors. It is also made up of great art galleries, museums, temples, restaurants and numerous shops line the streets. 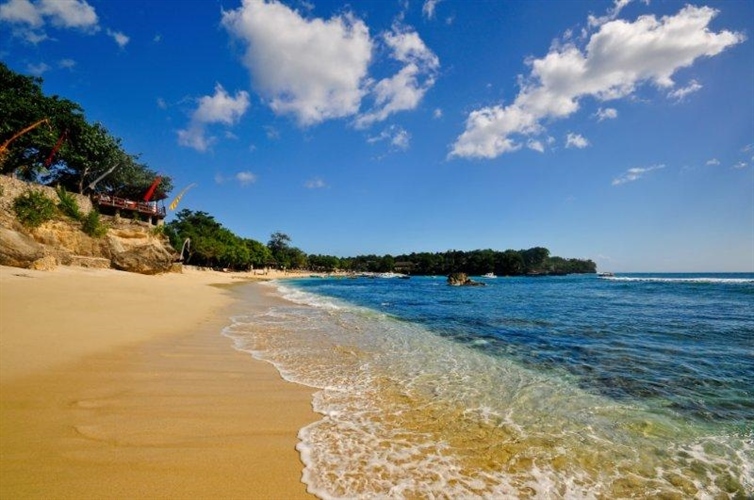 The majority of visitors though, go to the south of Bali to the beach resorts. Kuta caters for the younger generation, with great nightlife and plenty of activities to keep visitors occupied. Whereas Sanur, and Nusa Dua, cater for visitors that are looking for a quiet tranquil environment where they can relax and unwind. Although offer visitors a range of activities if they fancy a change. Day trips are available to Nusa Penida, Tanah Lot, one of Bali's most picturesque temples, rice terraces, Ubud, and coastal towns from most of the hotels situated here. All of this combined with the friendliness of the Balinese people, glorious weather, white sandy beaches and recent marine protection measures make Bali an increasingly sought after destination by divers from across the world. “USS Liberty Wreck” - Just 30 metres from shore lies the broken 120 metre long wreckage of this World War II cargo ship. The Liberty was torpedoed by a Japanese submarine out in the Lombok Strait, 11 January 1942, but was able to limp back to shore. Unable to quite make port, its captain steered the ship onto the beach at Tulamben. Large fish species that frequent the wreck include sunfish, great barracuda, Napoleon fish and scribbled filefish. Reef fish here common to Bali diving are peacock grouper and coral trout, regal angelfish and surgeonfish. Heading back towards shore on your dive you'll see a colony of spotted garden eels, heads swaying as if in a breeze, and goatfish nuzzling through the sandy rubble. The most famous of Bali scuba diving spots and the most popular of the Tulamben dive sites, the wreck is now completely covered in healthy coral growth, and the numerous structural holes provide endless opportunities for exploration. Soft corals dominate here, with crinoids, feather stars and hydroids. Night diving on the Liberty Wreck is particularly memorable and popular, being so close to shore. There are spectacular colourful beams of marigold cup corals, and hundreds of shrimp greet you at every corner. Common lionfish stalk their prey as well as the rare and nocturnal dwarf lionfish. Cocooned and sleeping parrotfish are quite common, and you may even see the rather strange sight of free-swimming crinoids, in search of a new hold. “Lembongan Island and Nusa Penida” - Lying across the Badung Strait from Sanur is Bali's premiere scuba diving destination - the clear waters of Nusa Lembongan and Nusa Penida islands. With its adjacent deep water trenches, the main attraction of diving at Lembongan Island is the common encounters with the curious and otherwise very rare oceanic sunfish, or mola mola. Sunfish are pelagic fish growing 2 metres long. They are found in tropical and temperate waters, feeding off large plankton and jellyfish. They have large, blunt heads, heavy bodies and stubbed tails, with elongated dorsal and ventral fins that can span 4 metres. You will never misidentify a sunfish! They can often be seen at cleaning stations with attendant cleaner wrasse. They are most often seen in this area from July to September. “Amuk Bay - Candi Dasa” - 3 kilometres southeast from Candi Dasa, Amuk Bay, lays the little rocky islet of Gili Tepekong that has some of the most spectacular scuba diving Bali has to offer. Tepekong is just 100m wide, the coral walls are steep, the water is cold, and the current can be strong but, for an experienced diver, drifting with an up to 5 knot current through Tepekong's canyon is an unforgettable and dramatic underwater experience. East and north of Tepekong you can dive to 25m and the relatively protected sloping reef is dominated by table corals, gullies and boulders, fallen from above. In the shallower diving waters the overhang at the bottom of Tepekong's walls is a great place for rock groupers, Napoleon wrasse and schools of yellow-ribbon sweetlips. 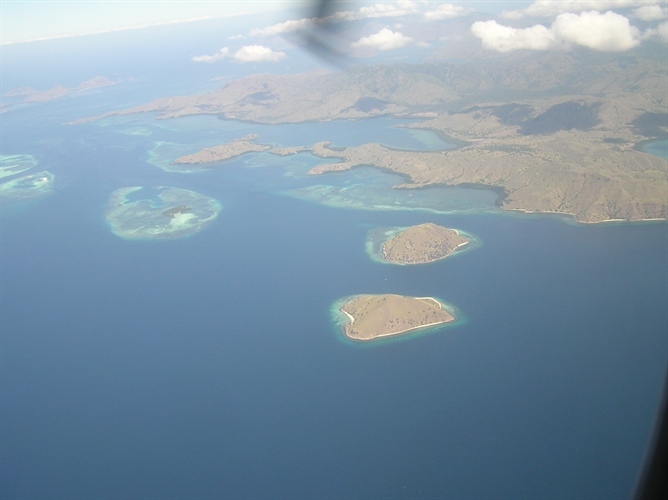 Two kilometres southeast from Amuk Bay, lies Gili Mimpang, a cluster of 3 exposed rocks. The atmosphere here is often charged and alive with action. White-tip reef sharks patrol the scattered rocks and boulders and pelagic fish such as tuna and sunfish are commonly seen. Pink squat lobsters can be found in the barrel sponges. 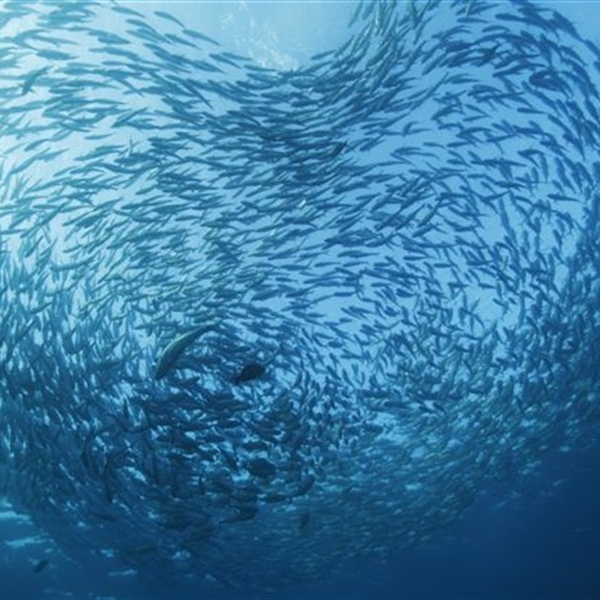 Bali scuba diving has alluring, colourful charms as well as more dramatic action packed encounters. The dive bottoms out at 30m, and you'll come across bumphead parrotfish, longfin bannerfish as well as schooling batfish. Acropora table corals and leather corals dominate the shallows with blue-spotted sting rays and black-blotched sting rays occupying the surrounding sand patches. Bali is home to Denpasar International airport which means you do not have to waste any more time flying and get in the water as soon as possible. 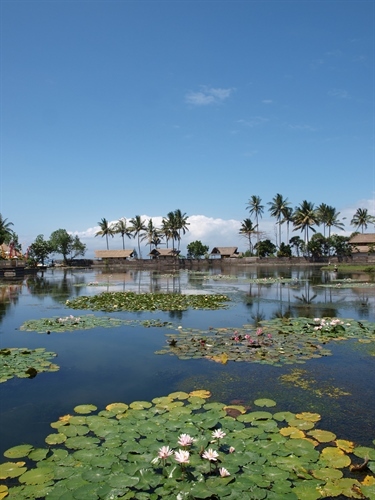 From Denpasar to Candidasa: 2 hours – this is where the Lotus Bungalows is located. From Denpasar to Singaraja: 3 hours – this is where the Alam Anda Resort is located. The dive season is year round in Bali although conditions do vary from time to time and location to location. 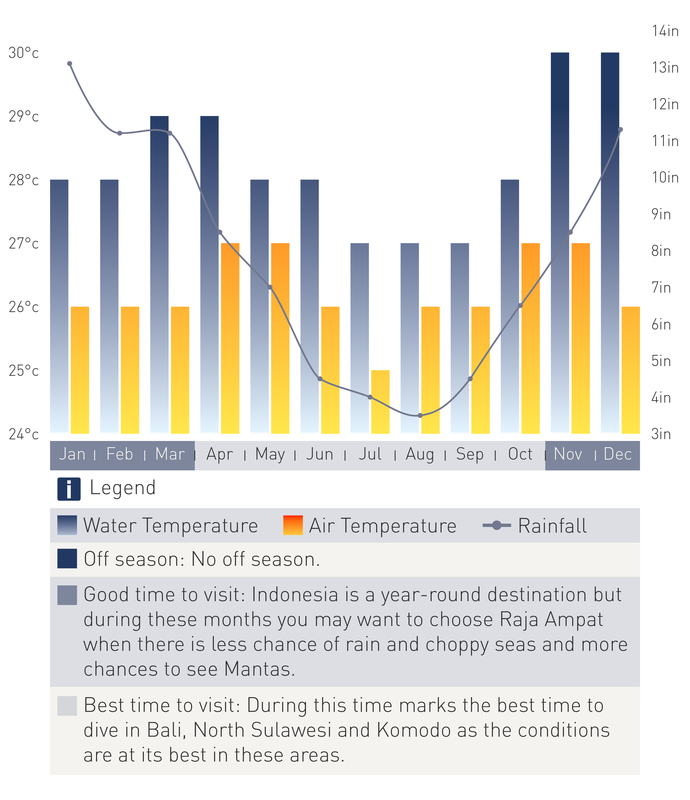 December to March is rainy season (although most days it doesn't rain) and there are fewer divers around. However, visibility is sometimes a little reduced around the north and west of the island. The best conditions to dive in Tulamben can be found between early April to July, October and November. 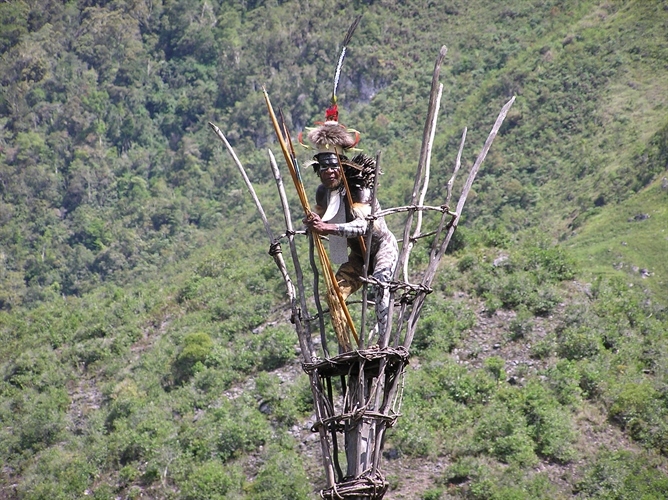 It is dry season during these months and visibility can reach a spectacular 40 metres at this time of year. The diving around Nusa Lembongan and Nusa Penida is good all year round and visibility is generally 20-30 metres. Water temperatures are usually 25-26°C except during mola mola season when it can drop to the low 20's. 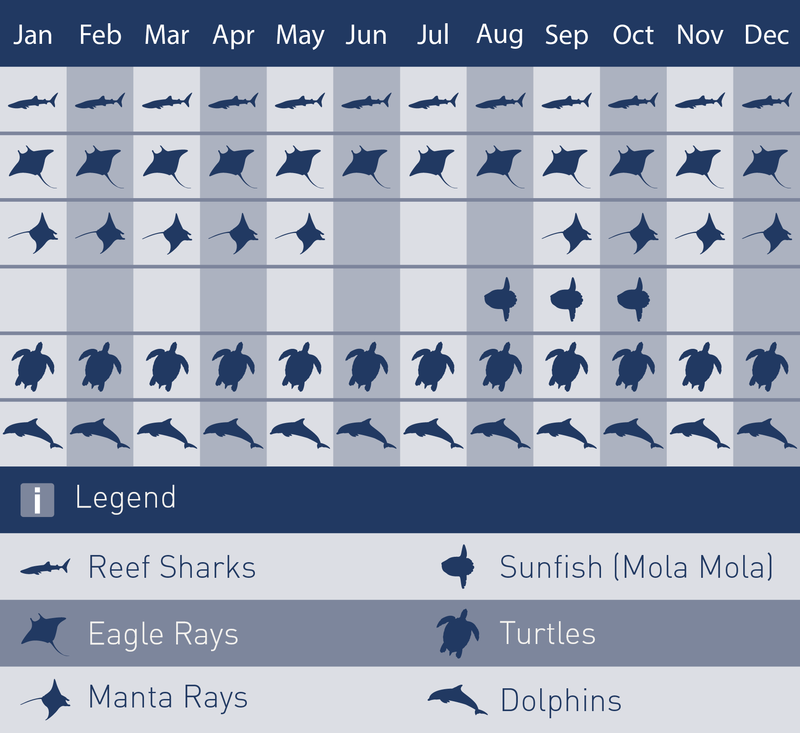 Sunfish, sharks and other large pelagics are best spotted between June and September which is also the time when seas might be both disturbed and enriched by the monsoon winds. The best time to see mantas is from April until June, although they are present all year round.